Getting ready to have the rear subframe put back to standard - LTR conversion removed & tubes straightened, is the subframe basically the same as the twinport or black frame bikes as the frame builder asked me do I have a reference for him to go off. Standard mounts are still there but as you can see in the photos both the seat tubes & uprights have bends. I think once Steve Roberts sees the frame he'll understand what needs to happen. 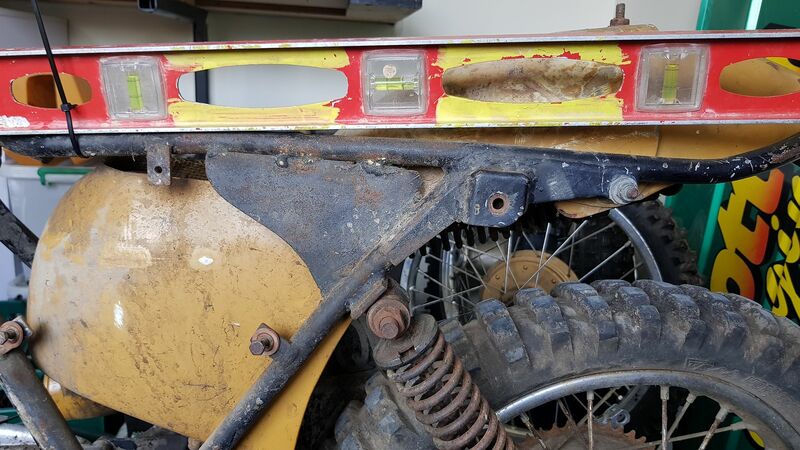 When cutting the old plates off remember to cut into the extra plates if you have to but not the frame tubes. 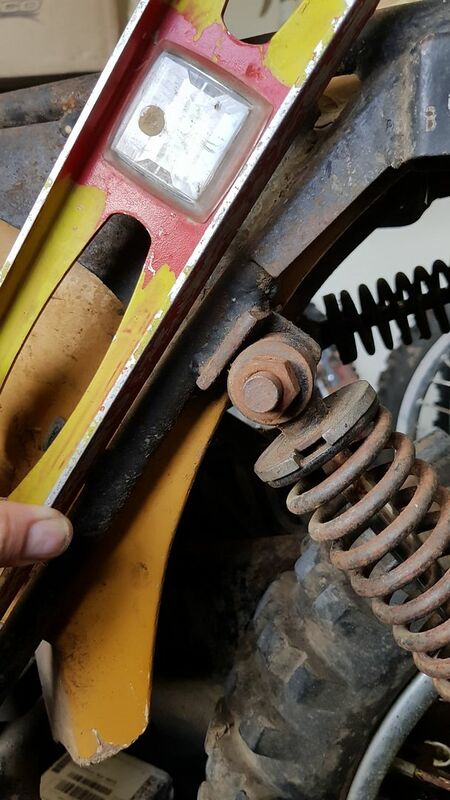 Also don't hit the frame tubes with a grinding disc to clean them up, grinding discs are too savage, only use them to take the bulk of the material off without touching the frame tubes. Leave cleaning up the frame tubes to sanding discs, personally I prefer sanding discs with a rubber backing, not a fan of flap discs for this sort of work. 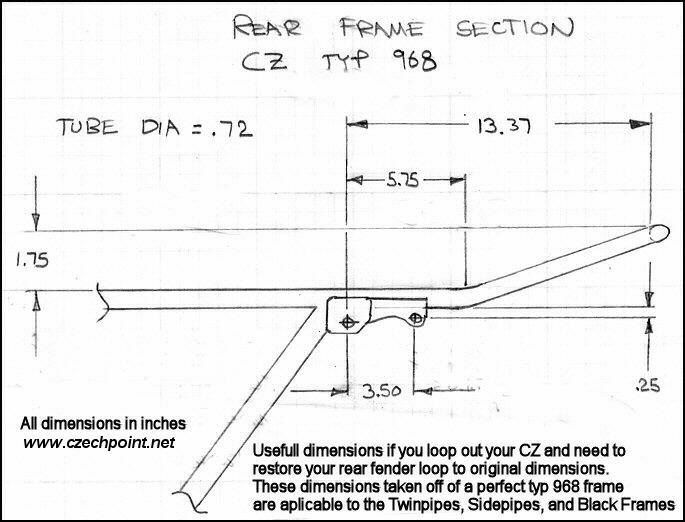 Frame tubes should be straight on top rails and pivot/shock mount tubes. Got the plates off pretty painlessly, right/pipe side took maybe 5 minutes with a cutting disc & deadblow hammer, other side took longer as I think the welds were longer & 1 was closer to the joint of the 2 tubes so I had to be a bit more careful. Turns out all the welds are bronze so I'll file them smooth, haven't attempted the shock mounts yet but am wondering if the small propane bottle gas torches from bunnings would be hot enough to melt the bronze again, 1 of the sets says it produces up to 1900C which should be way hotter than needed & it will also be handy to try & get the swingarm pin to move in the frame. Thoughts on that? you can get those small torches with Map Gas, i think this may even have a hotter flame than propane. A trick with removing bronze is to heat it up to melting point and then run a wire brush over it. Use a cheap wire brush as the bronze will often stick to the brush. Also don't ignore OH & S, make sure you brush away from you and that your boots don't act as funnels to attract hot bits into your boots. 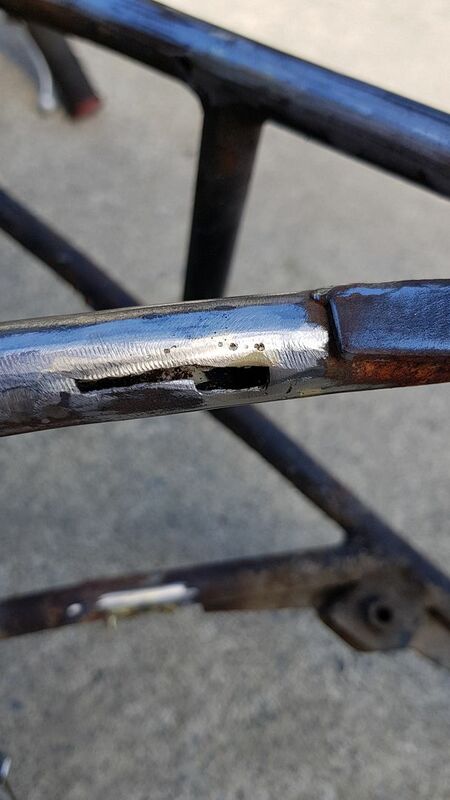 The mapp gas heated the weld enough to soften it enough for it to let go of the mount but not fully melt it.